This solution provides an interactive means of communicating and evaluating the financial performance of your company. 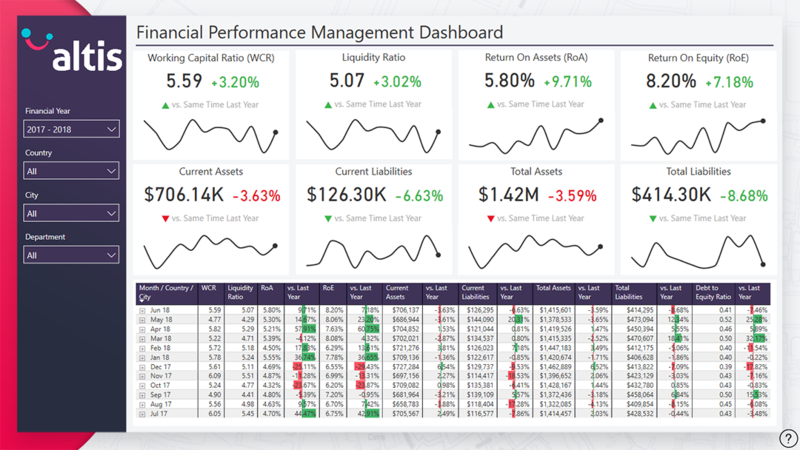 Presenting relevant financial KPIs and metrics, this solution enables informed decision-making to boost your financial health and meet financial objectives. This solution empowers financial personnel to make informed decisions regarding the financial performance of your company. 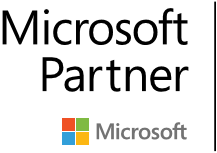 Developed using the latest PowerBI functionality, this solution is easy-to-use and highly customisable to match your company’s branding. 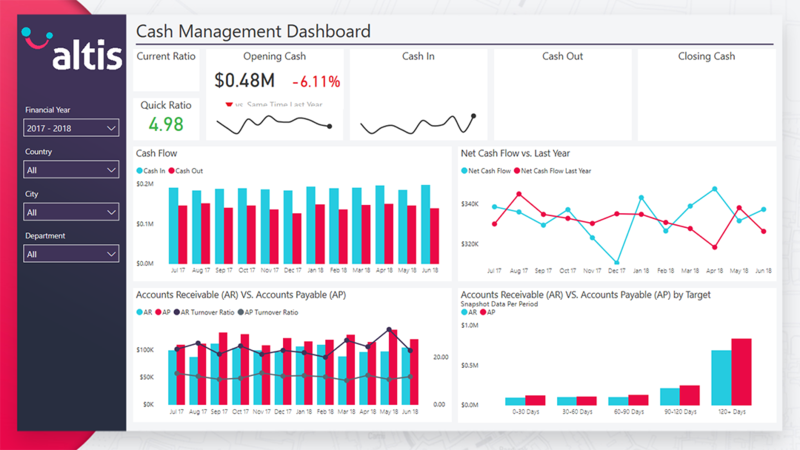 With our Financial Dashboards, you can effectively monitor and evaluate relevant financial KPIs and metrics in a set of interactive and easy-to-use visualisations. 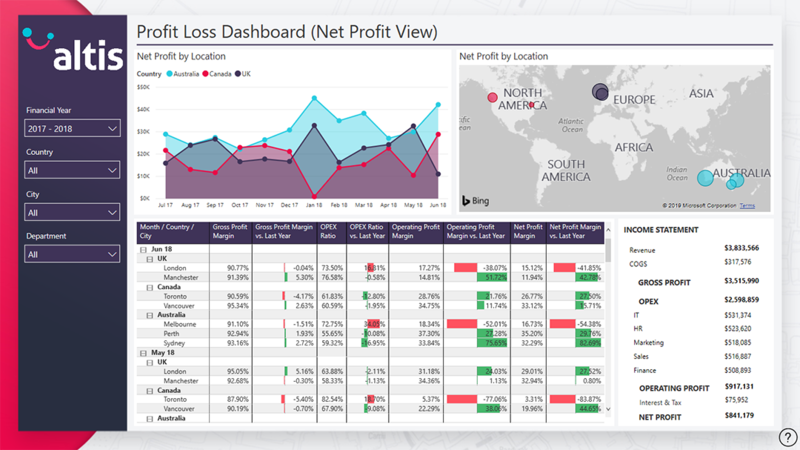 Provides a means of communicating the figures of your Income Statement across time, in conjunction with relevant financial metrics. 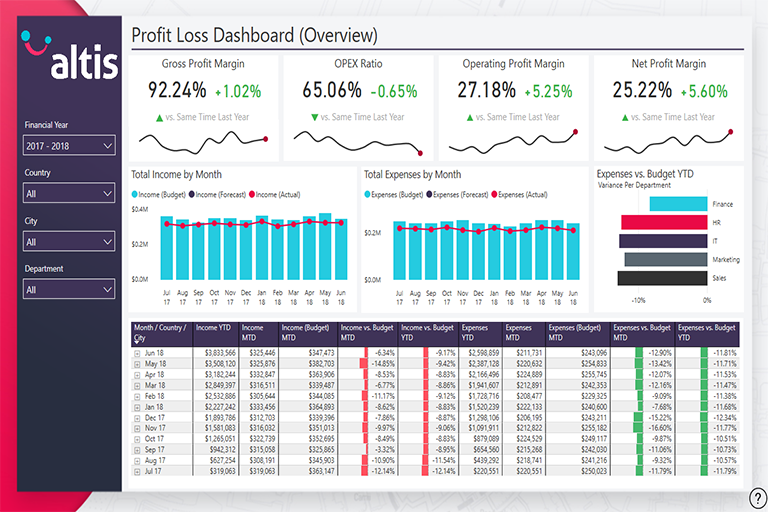 Visualises the Income and Expenses, and thus profitability of your company’s operations, and communicates month-to-date and year-to-date statistics of your financial figures against your budgeted and forecasted figures. Provides a means of communicating your liquidity and cash flow across time. Presents your Accounts Receivable and Accounts Payable figures in order to evaluate your accounts handling processes, thus improving your financial health. Provides a means of communicating the key financial metrics of your Balance Sheet across time, in order to ensure long-term viability and success. Presents an effective means of monitoring your assets and liabilities, thus providing a means to evaluate the capital structure of your company.